Apple had its proud moment last month, and now it’s Google’s turn to shine. Google’s (made by Google) event has finally here, though some of the hype is tempered by the fact that we have seen lots of rumors, and leaks on Pixel 3 and the Pixel 3 XL so far. To celebrate its 10th anniversary, the company did announce the long expected new phones, plus a tablet, laptop, smart home hub and AR partnerships with Marvel & Childish Gambino. The event took place in New York, and this is where you can see all the updates that have announced in that event, which was started at 8.30 PM on 9 October. From the Google Pixel 3 range to the Google Home Hub, here is everything that Google announced at its October 9 event. The Pixel 3 will challenge the best phones on the market with Google’s greatest weapon: Artificial Intelligence. The AI features unveiled at the event give Google something new to boast about. A feature called Top Shot that comes with the camera, which use AI to capture the best moments to take a picture. Other features include Night Sight, used in low-light settings without a flash, and Super Res Zoom, which improves zooming without losing the image quality. 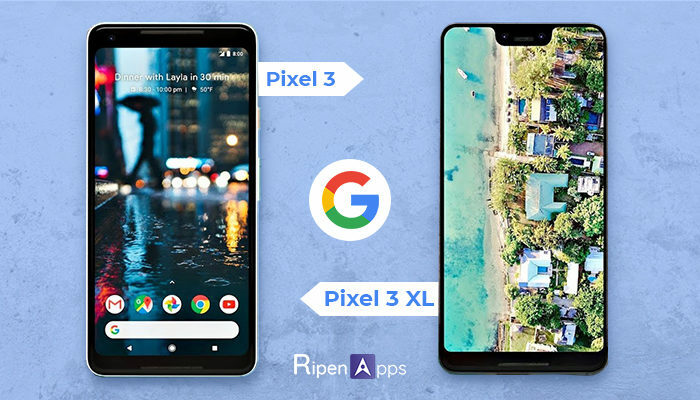 Google Pixel 3’s big brother Google Pixel 3 XL, comes with same features but in XL size. So the Google Pixel 3 XL carries the larger display and larger battery that comes with the larger form factor. But otherwise, the Pixel 3 is every bit as powerful as the XL. It sets the same Snapdragon 845 chipset, the same cameras, the same Android experience, and the same speakers and wireless charging. The Pixel 3 will start at $799 while the Pixel 3 XL starts at $899. The Pixel Stand, a wireless charger that works with the phones, will sell for $79. US residents can pre-order the phones now with shipping starting on Oct. 17. People in the UK can pre-order now with phones arriving Nov. 1. More markets will be added Nov. 1.